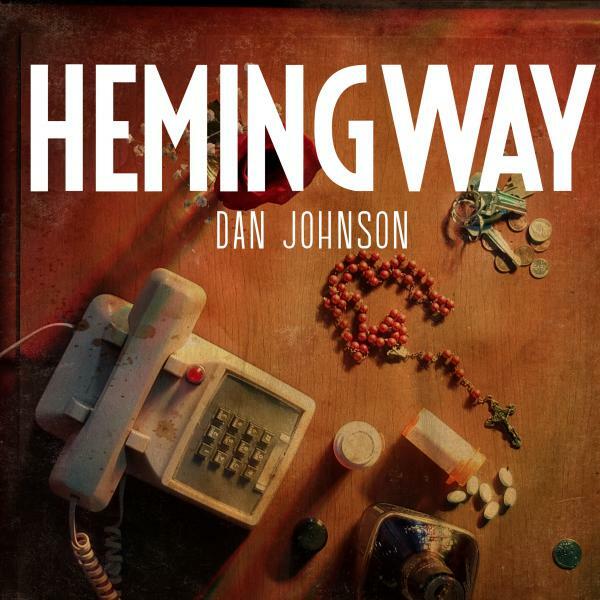 Songwriter Dan Johnson released an album earlier this year and a companion book that focuses on the mental health struggles of many veterans. He founded a non-profit called Project Hemingway dedicated to bringing down the veteran suicide rate. Dan Johnson's album cover. Graphic design by Javi Garcia. In the title track on the album, "Hemingway," an American soldier fighting in Afghanistan is nicknamed for the author because he regales his platoon with stories. So Hemingway tell us a tale. Of some great adventure of champions or fishermen or girls who put wind in men's sails. Take us away, Hemingway. In the song, Hemingway is grievously wounded by an improvised explosive device and loses both legs and one of his eyes. Shipped home, he finds relief in Percocet and bourbon and eventually takes his life the same way. "My dad and I were best friends, we went everywhere together. Right up until the day that he died," says Johnson. In families, suicide can beget suicide. Fast forward 25 years,"there was a particular moment in life," remembers Johnson, "when I had broken up the marriage of a dear friend of mine. And he didn't deserve that and she didn't deserve that and their son didn't deserve that." So in 2012, on a highway outside of Amarillo, Dan Johnson decided to follow in his father's footsteps: "And I had the feeling — I don't want to take up space anymore. This world would be a much better place if I weren't in it." Johnson hit the gas. His plan was to smash into the first bridge he came to so his children would get his life insurance. But for mile after mile there was only empty Panhandle. "And there was nothing to run into. So I had some time to think. I began thinking about my dad and thinking about — I bet he thought he was doing me a favor. And I'm about to do the exact same thing to my own kids." Johnson pulled off to the side of the road shaking. After an hour he gathered himself and sitting in the middle of vacant West Texas, wrote a song of regret about a cowboy who'd hurt everyone he'd known. And he'd only learned one way to live in this world. Find what others had and take it away. It's Johnson's frank assessment of veteran suicide in the title track Hemingway that's drawn the interest of veteran's organizations. It got the attention of Jacob Schick, CEO of 22 Kill, a non-profit whose name is derived from the number of American veterans who kill themselves every day. "I learned through tragedy that the only way to honor those that came before us and those are going to come after us is to not only live but live well," Schick said. "Look, we're after acceptance, acceptance that it's okay to not be okay. Everything you've ever wanted is on the other side of your fear. You just have to weather the storm." Like the soldier in Dan Johnson's narrative, Schick was badly wounded. He lost his right leg, broke all his ribs and suffered a traumatic brain injury during combat operations in Iraq in 2004. It was Schick who helped Johnson sharpen his focus to the issue of veteran suicide. Dan Johnson is taking his project on the road, playing the material to audiences who reflect it back afterward. He's learned to hang around once the show ends because veterans or their loved ones often want to talk to him, to thank him and then share their tales too. An emotional release comes with the storytelling. Here's a grim statistic. Twenty-two U.S. military veterans kill themselves every day. That's more than 8,000 suicides each year. 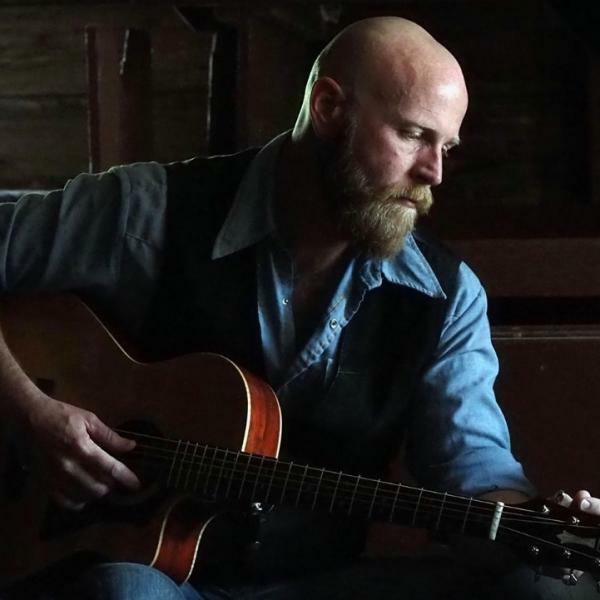 A singer-songwriter from Fort Worth, Texas, wants to point veterans toward a different path. Using his own experiences, he has created an album and a book. His project is called "Operation Hemingway." NPR's Wade Goodwyn has his story. WADE GOODWYN, BYLINE: Dan Johnson's relationship with suicide began when he was 10 years old. That year, 1987, Johnson's father, Terry Wayne Johnson, a Vietnam veteran, took his own life. DAN JOHNSON: My dad and I were best friends. We went absolutely everywhere together right up until the day that he died. JOHNSON: (Singing) Surrounded by ghosts of the lives he had claimed, safer than were nobody there. JOHNSON: There was a particular moment in life when I had broken up the marriage of a dear friend of mine. He didn't deserve that, and she didn't deserve that. And their son didn't deserve that. GOODWYN: So in 2012, on a highway outside of Amarillo, Dan Johnson decided to follow in his father's footsteps. JOHNSON: I had the feeling I don't want to take up space on this earth anymore. This world would be a much better place if I weren't in it. GOODWYN: Johnson hit the gas. His plan was to smash into the first bridge he came to so his children would get his life insurance. But for mile after mile, there was only empty panhandle. JOHNSON: And there was nothing to run into. So I had some time to think. I began thinking about my dad and thinking about, I bet he thought he was doing me a favor. And I'm about to do the exact same thing to my own kids. GOODWYN: Johnson pulled off to the side of the road, shaking. After an hour, he gathered himself and, sitting in the middle of vacant West Texas, wrote a song of regret about a cowboy who'd hurt everyone he'd known. JOHNSON: (Singing) Well, he opened his eyes and saw the tears on his shirt, where his heart would have been had he won. And he'd filled up the void that had always been there with remorse for the things that he'd done. GOODWYN: Johnson eventually wrote music and a collection of fictional stories with novelist Travis Irwin. Johnson calls the project "Operation Hemingway," after the author who experienced the carnage of the Spanish Civil War and who, at the age of 61, killed himself. The concept came to Johnson during a tour of Hemingway's home in Key West. JOHNSON: He got to the end of his life, and he couldn't go have any more adventures. And I was transported back to the moment when my dad took himself out of the world. And I said he took the Hemingway out. GOODWYN: Johnson let the house tour continue without him. Alone in Hemingway's study, he took out a pen and wrote the title song name for the writer. JOHNSON: (Singing) So, Hemingway, tell us a tale of some great adventure, of champions or fishermen or girls that put wind in men's sails. Take us away. Hey, Hemingway. GOODWYN: Dan Johnson eventually composed and recorded five songs. The stories and the songs are expanded in the book and include an imaginative cast of characters, from a grievously wounded veteran seeking salvation in Percocet and bourbon, to an aging gun smuggler taking one last shot at love. "The Devil's Child" is a story made for our time. In the book, it begins, (reading) Billy was a half-breed, which wasn't supposed to matter, not these days, but it did. But it's Johnson's frank assessment of veteran suicide and the title track that's drawn the attention of veterans' organizations. JOHNSON: I learned through tragedy that the only way to honor those that came before us and those that are going to come after us is to not only live, but live well. GOODWYN: Jacob Schick is the CEO of 22Kill. The nonprofit's name is derived from the number of American veterans who kill themselves every day. Like the soldier in Dan Johnson's narrative, Schick lost his right leg, broke all his ribs and suffered a traumatic brain injury during combat operations in Iraq in 2004. It was Schick who helped Johnson sharpen his focus to the issue of veteran suicide. JACOB SCHICK: We're after acceptance, acceptance that it's OK to not be OK. Everything you've ever wanted is on the other side of your fear. You just have to weather the storm. The brand-new CD is "Hemingway." Everybody, Dan Johnson. GOODWYN: Dan Johnson is taking his project on the road across the country, playing the material to audiences who reflected back afterward, sometimes with shaky voices. MICHAEL SPRAGUE: I was going to drink a bottle of really good whiskey, take a handful of pain pills, draw a hot bath. GOODWYN: Army veteran Michael Sprague served in Iraq. SPRAGUE: There's still times I want to do it, you know? But it's quitting. So you can't. You can't give up. You can't let the other guy win. GOODWYN: In some ways, Dan Johnson is trying to do for others what he could not do for his own father. JOHNSON: He called me down from my room, and he said, there's a couple of things that I want to give you. And he gave me his most prized possession, which is a 1956 Gibson Les Paul Custom. It's a nearly priceless guitar that he'd had his entire life. At the time, I remember thinking, how could this have happened? GOODWYN: Johnson says "Operation Hemingway" is a cry from his heart to try to stem the tide of veteran suicide. Wade Goodwyn, NPR News, Dallas. JOHNSON: (Singing) You'll stay in my home. Transcript provided by NPR, Copyright NPR. 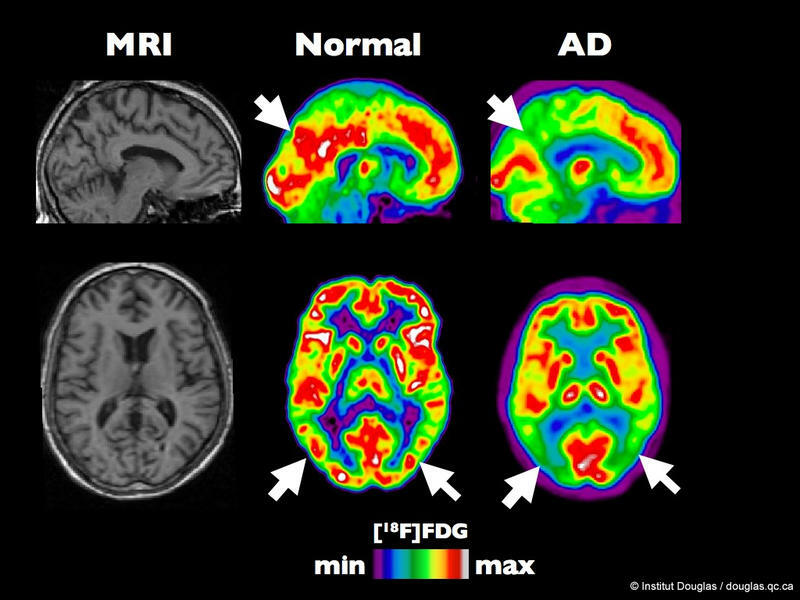 Alzheimer's disease is the most common type of dementia, and the Centers for Disease Control and Prevention says as many as 5 million Americans were living with it in 2014. Scientists have conducted a lot of research on the disease, but there's still no simple explanation for it. But James Truchard wants to change that. Truchard is a former president and CEO of the multibillion-dollar Austin-based tech company National Instruments. He recently gave $5 million to the University of Texas at San Antonio College of Sciences for the new Oskar Fischer Project; the money will be divvied among the scientists who can sufficiently explain what causes Alzheimer's. Tarrant County voters will soon decide whether to approve the largest bond package in the county’s history. The $800 million bond proposal is for the county’s public hospital system, known as the John Peter Smith Health network. Post-traumatic stress disorder — or PTSD — is the most common mental health disorder among veterans of the wars in Afghanistan and Iraq. It can also affect anyone who experiences a major life-altering event like a serious accident, physical abuse or sexual assault. The University of Texas at Dallas has received a $7.4 million grant to study this difficult-to-treat disorder — and test out some potentially life-changing treatments. 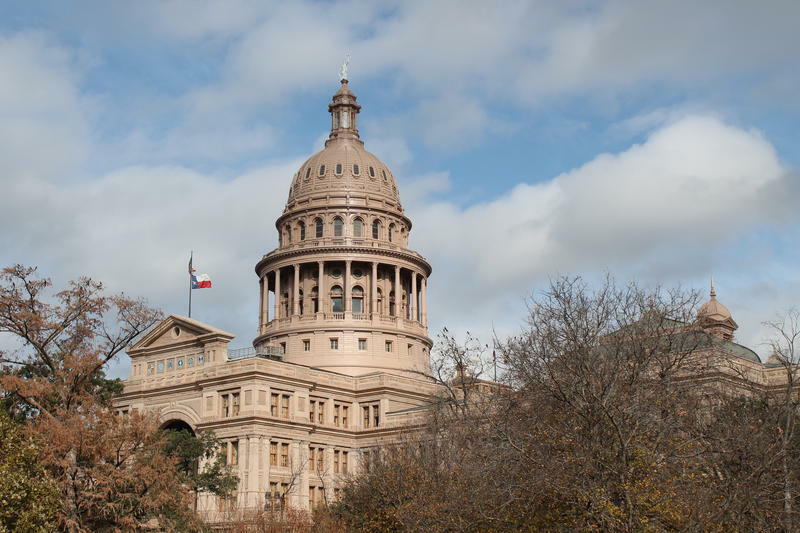 State lawmakers are studying how housing instability, homelessness and mental illness are interconnected and what changes might reduce the state’s overall homeless population.